So with my years of experience you might think that I’m great at pulling keys of all kinds without issue. In fact you may say the same thing about yourself. While I can hold my own for sure, I have always felt there were holes in my knowledge. I learned on the job, and only learned about the things that were thrown at me, as opposed to any kind of formal training or even keying basics. We have a reoccurring job at Edit Creations that always seems to be more difficult than it should be. While the keys in the end come out pretty good, they’re not perfect. And while there are times that maybe you decided it’s “good enough” what you’re doing, I want to know that I can in fact pull that perfect key every time, no matter what. 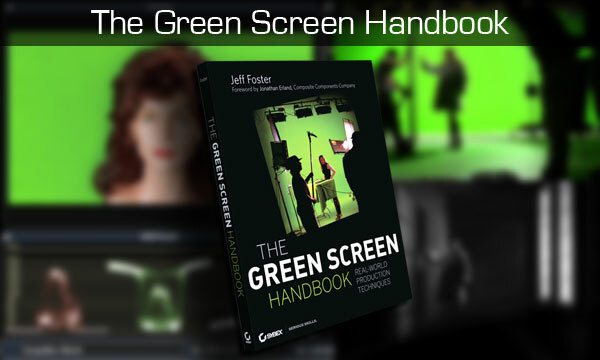 So it was with great pleasure that I found Jeff Fosters new book, The Green Screen Handbook. 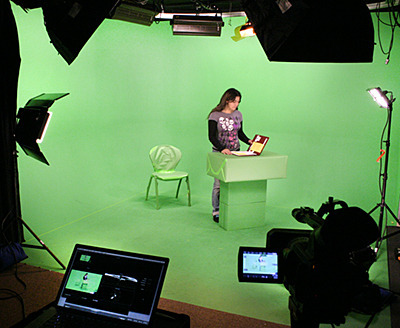 The book’s only focus is green screen, and it’s a modern book that’s based on technology that’s available today, not from 10 years ago. If you’re hoping that this book has tons of difficult keying examples with step-by-step detailed instructions on how to get great results, it is not. It does not get into what slider bar to adjust or which keyed is the best for which situation. This is what I was hoping it was. While I was disappointed initially, as I kept reading I realized it was much more comprehensive and covered the entire process, not just the post production part. The book starts out with a history of how we got to where we are today with travel matts, and what it was like in the early days. I actually found this part of the book fascinating and really enjoyed it. It gave me a good appreciation for what we have today and I couldn’t help thinking that the originators of the technology would really be amazed with what can be done now with relative ease. 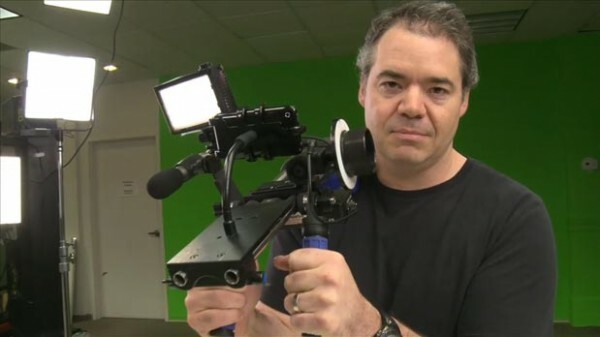 Jeff goes on to explain the difference between blue and green screen (and when to use one over the other as well as when to use both at the same time), and hardware vs. plug-in based tools. What I really ended up liking about this book is the way he covered everything from pre-production through post, as well as different budget levels. 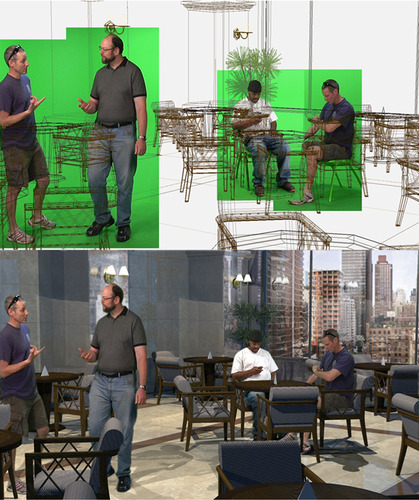 In other words, no matter where you are in the spectrum, if you do green screen work you’ll find something that applies to your part of the world. One of the most important things I learned from reading the book was that the reason that some of my keys are difficult to pull, is that there are some issues related to the way they are shot. First, there would be a great benefit to using green bulbs to light the green wall (I didn’t even know you could do that). There are specific bulbs made just for this purpose. Second, and the biggest problem we’re having is the video we’re recording, while in HD and the P2 format, has too many compression artifacts, thus we are getting very noisy source footage to start with. There are some adjustments that can be made in the camera, but we are also considering recording uncompressed right out of the camera to ProRes 4444 on a Ki Pro. Our next shoot is coming up in a few months, and I look forward to implementing some of the new ideas. There is a section of the book called “How the Pros Do it” that make my little head shot keys look like child’s play. 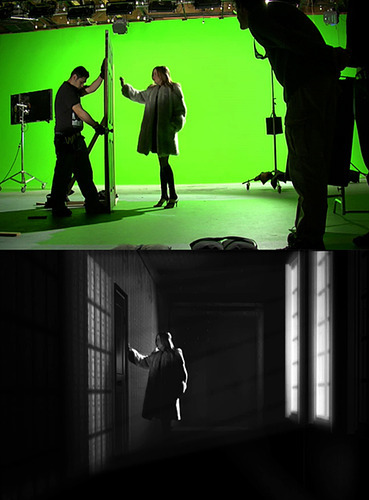 It’s interesting to see some of the high end work with explanations on how they accomplished the scene. Other topics covered include the importance of pre-production and storyboarding, testing shots as well as your workflow, having your talent interact with background elements and how to retain natural shadows from your subjects. Overall I was very impressed with the work that went into this book and feel like I will be a better green screen artists having read it. It reminded me of when I took a motorcycle riding class years ago. Going into the class I thought I knew it all (or at least a lot). But once I was done with the class I realized how little I really knew, and was a much more confident rider. 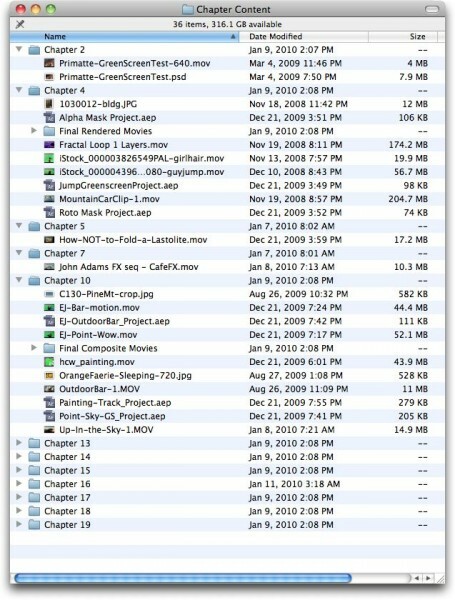 There is a DVD that comes with the book (unless you buy the Kindle version, more on that later) that includes tons of goodies organized into folders that match the chapter numbers. 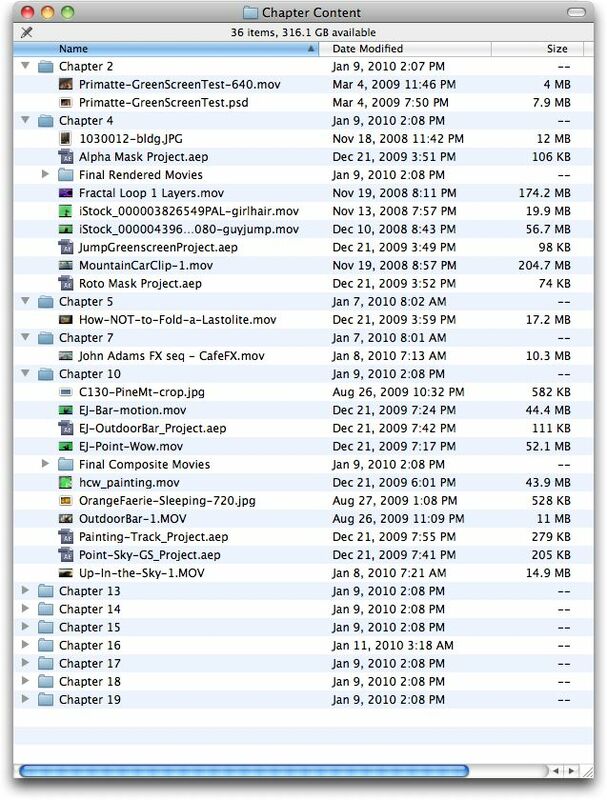 You’ll find movie clips PS files and AE files that let you see first hand how some of the examples in the book were created. I love my iPad and the Kindle App, so when I realized I could buy the book and have it instantly I didn’t hesitate. However, a book like this probably would have been better in print. Here’s why. Formatting on Kindle books is great, if you have a simple text layout with few images that can be shown in-line. Because this book is about visuals as much as the printed content, the formatting was just terrible. 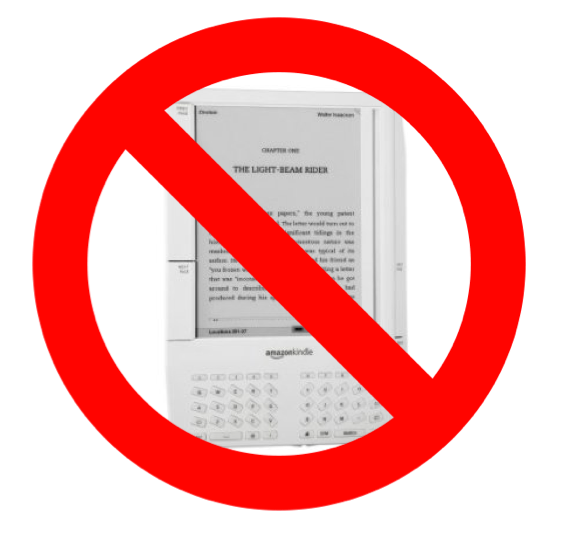 This is not the fault of the author, but of the Kindle book format itself. It just does not allow for free flowing organic looking layouts. I could have gotten by with this and still been happy with the Kindle version. The big problem was that you get no DVD with the kindle version, and that is a deal breaker for me. I was able to get a copy after making a few phone calls, but this was the exception. No physical book, no DVD. There are 3 main things I’m going to change in our reoccurring project based on what I learned in this book. 1) Shoot with green bulbs. This is covered in great detail in the book. 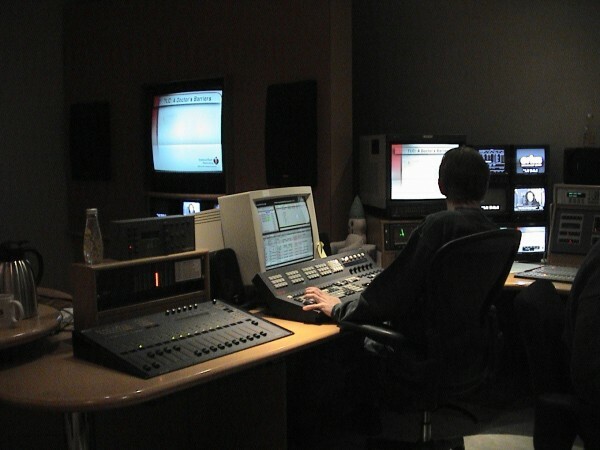 2) Record uncompressed out of the camera into a codec that is more “keyer friendly”, or at least to one of the higher bandwidth ProRes codecs. 3) Try some slightly modified techniques in keylight to see if a different approach will yield different results this time around. Another takeaway from the book was that there is no one single technique that works in every situation, and I picked up a few new ones from the book. I love learning. I love feeling like I have a challenge, I overcome it and have a new set of skills that I didn’t have before. This book really delivered that experience for me. 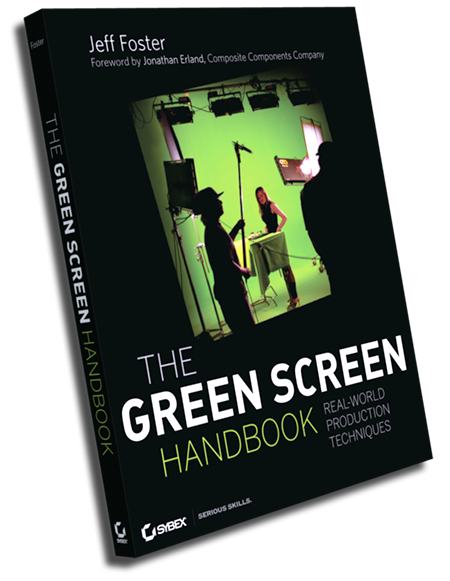 In my opinion if you are a video professional that either shoots or edits green screen scenes, this book is a must read to take you to the next level. I can’t think of anybody that I know that wouldn’t learn something from this book and improve their craft. Another great resource is Alex Lindsay of Pixel Corps fame. He’s done some great web posting on the work that he does, with some real world examples. I’ve been really impressed with not only his process and what he has learned over time, but his openness to share what he knows to help others. We all improve when we help each other. Thanks Alex! You can find some of his posts here. 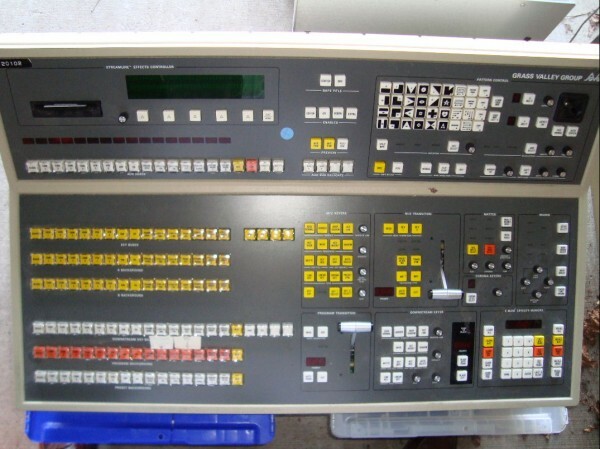 Do the Ki Pro record ProRes 4444? I can't find it at AJA website. You are correct Ariel, my mistake. I knew it recorded multiple flavors of ProRes and made the assumption that it included the newer 4444 version. That being the case, it should still be fine at 422 so I think it’s going to be a good solution for me. Well, I’m the author of this book, and just stumbled upon this review after “Liking” the Suite Take ad on the side of my Facebook page! This is the most comprehensive review anywhere in print or online about this book. Honest and fair from the perspective of a seasoned industry pro. Thanks again for the review Thomas! Other than using these programs to pull off great keys, is there anything like the ultimatte that we can use now? 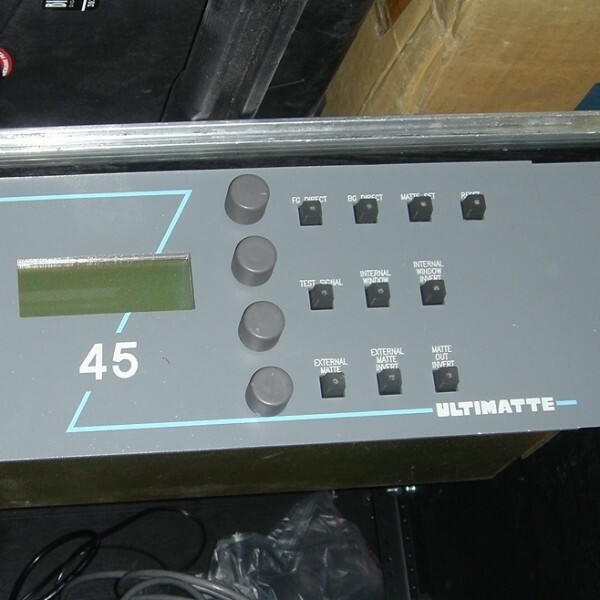 I used to have an ultimatte and it was great.